Why Think This is True? This month, during the holiday season, Herb will share an eSight series on whether or not Jesus actually existed, whether we can trust the canonical stories concerning this person, and if so, what are the, birth, life, teachings, death and resurrection of such a person saying to us about what type of a being “God” really is. 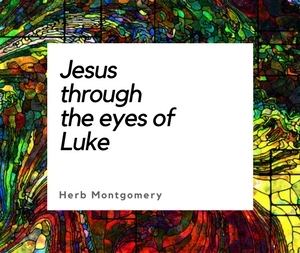 We could think of no better presentation to feature that goes along with this eSight series this month as so many are focusing on the birth of this Jesus than this presentation given by Herb last spring at Princeton University. If what the Gospels are saying saying is true, and the Jesus story really did take place, not only could you not possibly be more loved than you are right now at this very moment, but as Jesus followers, we are called to live radically self-sacrificial, others centered lives, making a difference in this world for the better. The Christmas story is more than legend. It’s more than myth. It’s more than borrowed parallelism from ancient mystery religions. It is our prayer that your heart will once again be renewed as you listen to this month’s featured presentation, Why Think This Is True? by Herb Montgomery.